Earlier this week I travelled up to the Stirling where I had the pleasure of presenting the keynote at the College Development Network Librarians Open Developments in Scotland event. It was an interesting and lively event and it’s great to see college librarians really engaging with the open education debate. Open education has the potential to be of enormous benefit to the FE sector, and librarians have a critical role to play in raising awareness of open education and advising their staff on the development and use of open educational content and licences. My slides are available here and I’ve posted a Storify of the event here: Librarians Development Network: Open Developments in Scotland. 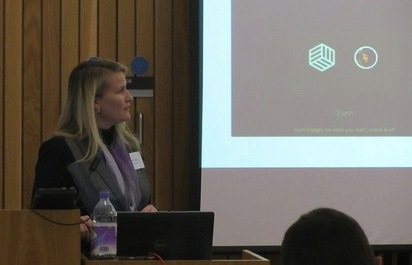 My presentation was followed by a fascinating talk by Suzanne Scott about Borders College‘s adoption of Mozilla Badges. There’s been a lot of talk about the potential of open badges recently, so it’s really interesting to see them being used in a real world scenario. Borders College aren’t just using badges to motivate students and acknowledge their achievement, they are also using them to engage with staff and have replaced all staff CPD paper certificates with Open Badges. Adopting badges has also had significant reputational benefit and has raised the profile of the college; Borders College are 4th on Mozilla’s list of international Open Badge Issuers. 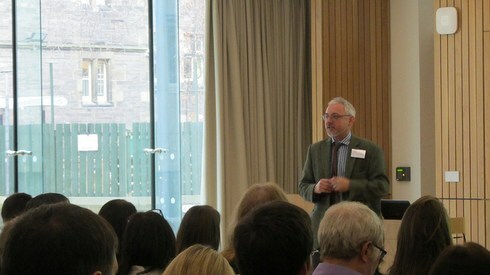 Following Suzanne, Mike Glancey of the National Museums of Scotland gave a talk about SCURL‘s Walk in Access initiative. Now I have to confess, I had never heard of Walk in Access before, but it sounds like a really valuable initiative. Walk in Access provides members of the public with on-site access to digital content such as journals and databases, where licensing terms and conditions permit. Walk in Access highlights libraries commitment to opening access and also helps to widen engagement and provide access to distance learning students. The SCURL Walk in Access report is available here. In the afternoon we were lucky to have a presentation from the always inspiring Christine Sinclair about the University of Edinburgh’s Coursera MOOCs and her team’s experiences of running the ELearning and Digital Cultures MOOC (#edcmooc). Christine explained that Edinburgh initially got in involved with MOOCs for five reasons: reputation, exploration, outreach, shared experience and, most importantly, fun! 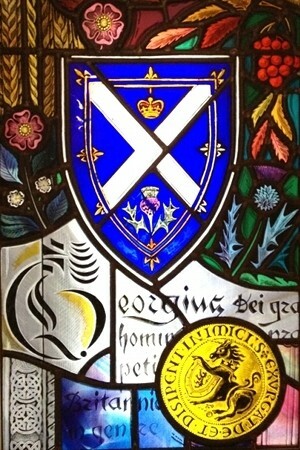 The Edinburgh MOOCs have the support of the principal and the senior management, and the university has invested a considerable amount of funding in the initiative, however a lot the courses still run on “staff goodwill, evenings and weekends.” It’s too early to say if this is a sustainable approach, Edinburgh are still exploring this. Although the #edcmooc team didn’t want to produce “star tutor talking heads” videos they discovered that students still wanted to “see” their lecturers and to form a connection with them. Some students struggled with the #edcmooc approach, asking “Why aren’t you teaching us? Where are our learning outcomes?” but others really engaged and came back to act as Community Teaching Assistants the following year. The final presentation of the day was from Susanne Boyle, who has recently taken over from Jackie Carter as Director of Jorum and Senior Manager, Learning and Teaching at Mimas. Susanne is not the only new member of staff to join the Jorum team, within a couple of months, 50% of the team will be new appointments! Jorum will be supporting the Jisc funded FE and Skills Programme, and will be creating tools to make it easier for FE practitioners to connect with Jisc and Jorum content. The team will also be focusing on Health Practice resources and collections, and will be working closely with the North-West OER Network. I have been involved with Jorum since it was just a wee glimmer of a project proposal, and I have sat on its Steering Group through every phase of its development so it will be very interesting to see what this new lease of life brings! Earlier this week I was invited by Jisc RSC Scotland to attend their Open Education Joint Forum which took place at the Informatics Forum at the University of Edinburgh. It was a very well attended event that featured a packed programme of thought provoking and engaging presentations that highlighted a range of really inspiring open education developments. I’ve put together a storify of the event’s lively twitter back channel here and links to all the presentations are available from Jisc RSC Scotland here. I kicked of the event with a short overview of the Open Scotland before passing over to Joe who challenged the audience to share their educational resources, before talking about about the benefits of openness and calling for changing mindsets around Open Education. Joe also reminded us that there is a real strength in Scottish education, we have dedicated and talented teaching staff and by opening up education they can shine for learning. 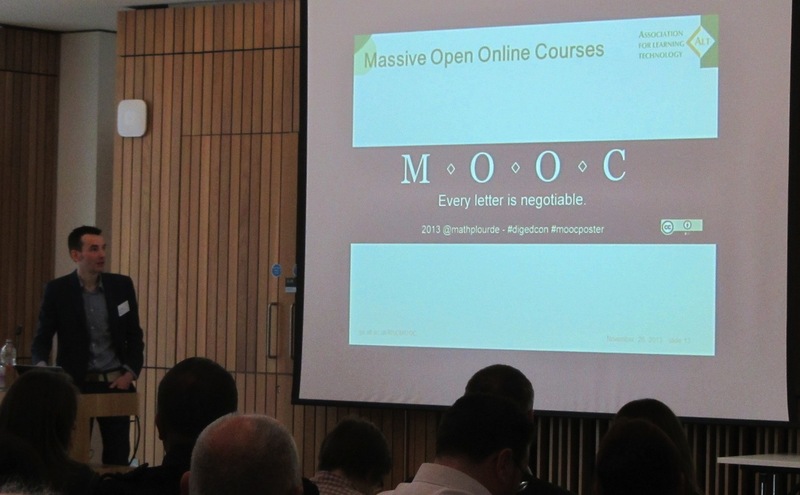 Massive Open Online Courses: Open education of course? Martin Hawksey, my former Cetis colleague, now with ALT, gave an inspiring presentation that placed MOOCs in the historical context of technology innovation and asked if we are now in danger of promoting a dogmatic approach to programming and technology innovation. Martin revisited Doug Englebart’s “Mother of All Demos” which, among many other innovations, demonstrated screen sharing and videoconferencing as far back as 1968. In education we have a tendency to get stuck in particular ways of doing things, both students and teachers have specific expectations and can be very resistant to change. Martin highlighted some of the tools, services, platforms and applications that can be employed to deliver MOOCs. He also reminded us that every letter of MOOC is negotiable and suggested that the issue of MOOC completion rates is irrelevant. Open or closed is not a binary thing, but there are huge benefits to moving towards more openness. Martin concluded by telling is all that “openness is about feeling warm inside” and that we should all “ride the waves of innovation to a more open, more relevant style of education’. Martin has written a an excellent blog post about his presentation which you can read here: Taking on the dogmatic approach to education with a bit of ‘reclaim open digital connectedness’. Gerry spoke about the need to change hearts and minds to use and develop open educational resources and called for a clear statement and a decisive stance on open educational resources from Scottish Government. Scotland’s Colleges committed to releasing resources under Creative Commons licences. 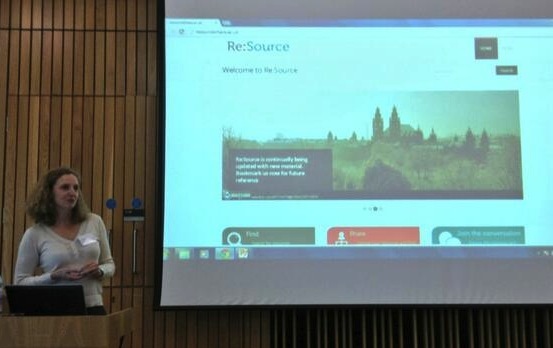 Re:Source is an OER repository for Scotland’s colleges. The open platform is here and could be used by many across the Scottish education sector but policy drivers needed. 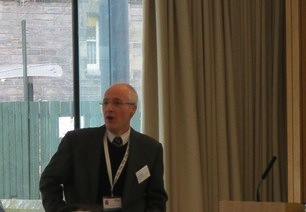 Jisc RSc Scotland is collaborating with Scotland’s Colleges to work ona way forward. Librarians also have a crucial role to play in developing open repositories within Scotland’s colleges. Jackie Graham went on to demonstrate the Re:Source repository before handing over to Sarah Currier who spoke about the Jorum repository which powers Re:Source. Julie Usher began by highlighting the potential of OERs but suggested that they can be hard to find; how do you fin and evaluate OERs, link them to curricula, including assessments. 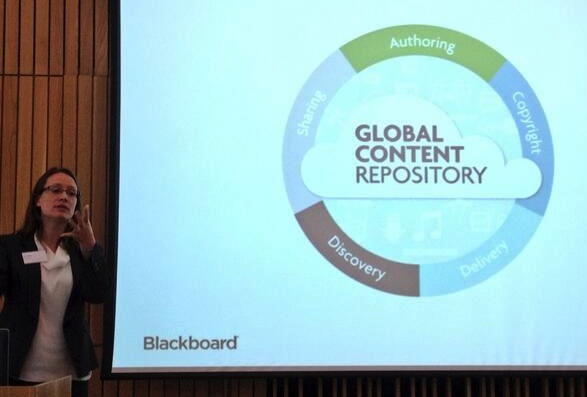 To address this problem Blackboard have developed the xpLor content repository. xpLor supports OER discover and allows content to be pulled directly into Blackboard courses. Creative Commons is baked into xpLor repository so content can be exported with CC licenses. Open badges are a form of digital accreditation that can be displayed online. Badges are like coats of arms, they are images that contain information and have meaning beyond the visual. Open Badges incentivise informal, formal and work based education and break learning into manageable chunks. The Open Badges in Scottish Education Group (OBSEG), which is supported by Jisc RSC Scotland, has set up three sub-groups focusing on Learner Progress, Technology and Design and Staff Development.